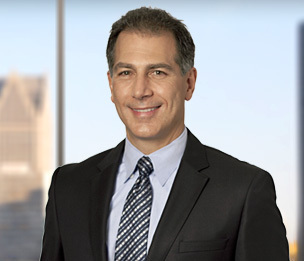 Michael A. Lesha is a former leader of the Real Estate Practice Group and counsels clients on commercial and retail development, design and construction law, governmental inducements (including tax abatements), leasing, mortgage lending, off-balance-sheet financing and loan workouts. He represents real estate developers, general contractors, a wide variety of lending institutions, and owners and operators of real estate projects in industries as diverse as health care, automotive manufacturing and supply, warehousing, retailing, gaming, sports and entertainment. Mr. Lesha also has significant experience with the acquisition, financing and operation of professional sports franchises and related entertainment facilities, including matters pertaining to league relations; personnel contracts; concession, broadcasting and sponsorship agreements; and securing governmental inducements. The negotiation of a variety of design and construction contracts on such projects as the $100 million renovation of a 900,000 square foot office building, the $130 million renovation of a medical center campus, the $75 million renovation of a professional football stadium, the $65 million design and construction of a manufacturing facility in Mexico, the $35 million design and construction of a luxury gaming vessel and a variety of championship golf courses throughout the United States. The acquisition and development of a technical center and corporate headquarters for one of the world's leading automotive suppliers. The development of numerous retail shopping centers, medical office buildings and ambulatory care facilities, as well as residential subdivisions and light industrial parks and facilities. The negotiation of a stadium lease and various governmental inducement agreements on behalf of a National Football League team. The acquisition of a National Hockey League team. Mr. Lesha also has lectured on a variety of subjects, including the negotiation of construction contracts and architect agreements, the workout of troubled real estate loans and environmental aspects of real estate transactions. He co-authored a book on construction and design law for the American Bar Association.